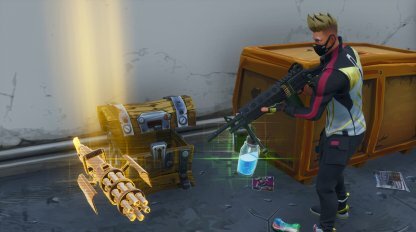 Maximize your damage with weapon combos guider for Fortnite Battle Royale. 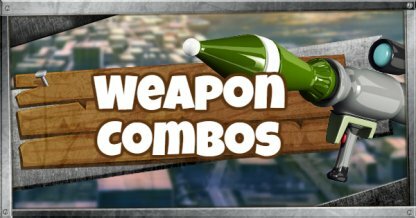 Weapon Combo is done by switching between weapons during combat to deal as much damage as possible or to compensate for the drawbacks of a certain weapon. Not all weapon works well together. Pick weapons with the similar range and can work together in terms of fire rate and damage. 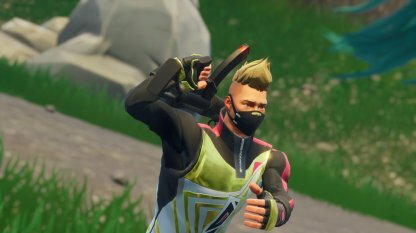 A quintessential weapon combo in Fortnite. Use the SMG to melt the shield of the enemy and finish them off with 1-3 shotgun blasts. Begin the combat by shooting with the Hand Cannon. Swap it out immediately with the SMG to knock down and eliminate the enemy. This is perfect for jumpy enemies. 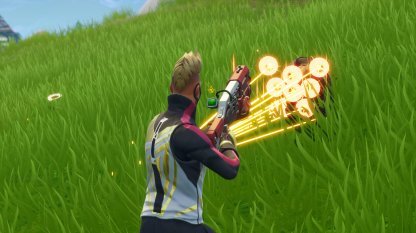 Shoot the Rocket Launcher where they will land to get them with the splash damage, then finish it off their remaining health and shields with the the SMG. Sneak around and use the Bolt Action Rifle to headshot the enemy. Don't give them time to heal by pressuring them with the assault rifle. Use the Minigun to destroy covers used by an enemy. Once you have an opening, use the Assault Rifle to eliminate them. Unable to find a Minigun? A Drum Gun is also effective in destroying cover and the Shotgun is a great at eliminating enemies who are running off. Destroy Forts in a matter seconds. 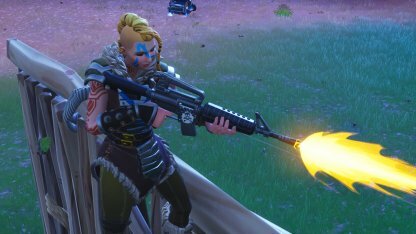 Shoot the Rocket Launcher and before it hits a fort wall, use the Assault Rifle to create an opening so the Rocket will explode on the inside of the fort. 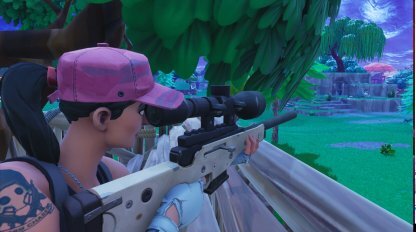 Engage enemies with cheeky shots from the Sniper Rifle before switching to the Scoped Assault Rifle. As it's hit scan, it can easily land shots on enemies trying to run for cover.